He proposed another parable to them. "The kingdom of heaven may be likened to a man who sowed good seed in his field. While everyone was asleep his enemy came and sowed weeds all through the wheat, and then went off. When the crop grew and bore fruit, the weeds appeared as well. The slaves of the householder came to him and said, Master, did you not sow good seed in your field? Where have the weeds come from?' He answered, 'An enemy has done this.' His slaves said to him, 'Do you want us to go and pull them up?' He replied, 'No, if you pull up the weeds you might uproot the wheat along with them. Let them grow together until harvest; then at harvest time I will say to the harvesters, "first collect the weeds and tie them in bundles for burning; but gather the wheat into my barn."'" He proposed another parable to them. "The kingdom of heaven is like a mustard seed that a person took and sowed in a field. It is the smallest of all the seeds, yet when full-grown it is the largest of plants. It becomes a large bush, and the 'birds of the sky come and dwell in its branches.'" He spoke to them another parable. "The kingdom of heaven is like yeast that a woman took and mixed with three measures of wheat flour until the whole batch was leavened." All these things Jesus spoke to the crowds in parables. He spoke to them only in parables, to fulfill what had been said through the prophet: "I will open my mouth in parables, I will announce what has lain hidden from the foundation of the world." Then, dismissing the crowds, he went into the house. His disciples approached him and said, "Explain to us the parable of the weeds in the field." He said in reply, "He who sows good seed is the Son of Man, the field is the world, the good seed the children of the kingdom. The weeds are the children of the evil one, and the enemy who sows them is the devil. The harvest is the end of the age, and the harvesters are angels. Just as weeds are collected and burned up with fire, so will it be at the end of the age. The Son of Man will send his angels, and they will collect out of his kingdom all who cause others to sin and all evildoers. They will throw them into the fiery furnace, where there will be wailing and grinding of teeth. Then the righteous will shine like the sun in the kingdom of their Father. Whoever has ears ought to hear." Because God is patient with us, particularly with regard to our sins, we must strive to avoid an additional sin. In our broken human nature, we can easily slide into presuming upon God’s mercy. Presumption is a form of justification. It leads us to justify a future sin in advance of committing it because “we just know that God will forgive us later.” It also demonstrates a real lack of true gratitude for His past generosity. We think to ourselves in advance of a particular sin. God was quick to forgive me the last time; I am sure He will do it again this time. The catechism teaches that presumption is a sin against the First Commandment: You shall worship the Lord your God and Him alone shall you serve. “There are two kinds of presumption. Either man presumes upon his own capacities, (hoping to be able to save himself without help from on high), or he presumes upon God’s almighty power or his mercy (hoping to obtain forgiveness without conversion and glory without merit)” (Catechism of the Catholic Church 2092). Presumption is a particularly ugly sin because it attempts to take advantage of God’s generosity. So what is needed to avoid presumption? First, what is needed is humility. Humility flows from and leads to deep sorrow for our sins and profound gratitude for God’s goodness in our lives. It gives power and strength to our love for God which drives us to avoid those same sins in the future. We don’t want to hurt the beloved in even the smallest of ways. Humility fights against the sin of presumption. Second, we need to know in our hearts that God is just as well. Wisdom also says to us: “For your might is the source of justice. … For you show your might when the perfection of your power is disbelieved.” In our Gospel for this week, Jesus says rather forthrightly in the parable about the weeds and the wheat: “First collect the weeds and tie them into bundles for burning.” The truth is: there are real, even eternal, consequences for sins that go un-repented. Third, we need to pray. Prayer tills the soil of our heart, making it desirous of walking humbly with God, fertile for a deep love of God, and passionate about serving our neighbor in need. There is no need to fear prayer. God promises assistance on this front as well. 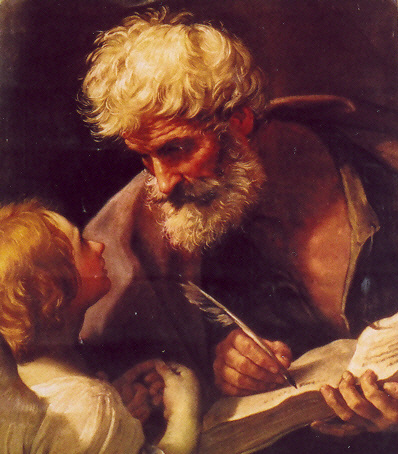 St. Paul announces so beautifully in the Letter to the Romans: “Brothers and sisters: The Spirit comes to us in our weakness: for we do not know how to pray as we ought, but the Spirit himself intercedes with inexpressible groanings.” The Holy Spirit, dwelling in us from baptism, actually prays in us and for us to the Father. We just need to dedicate time to prayer. God is quick to come to our assistance once we do. I would like to finish with a quote from Archbishop Francois Fenelon: “God bears with imperfect beings, even when they resist His goodness. We ought to imitate this merciful patience and endurance. "It is only imperfection that complains of what is imperfect. The more perfect we are, the more gentle and quiet we become toward the defects of other people."